Late winter and early spring found us doing several conservation art shows. SCI, the Minnesota chapter in Minneapolis, the Wisconsin chapter in Wisconsin Dells, and the Northwoods chapter in Hinckley, Minnesota were all fun and successful. I also showed at Pheasants Forever’s national convention in Des Moines, Iowa and attended a couple of local conservation banquets. When winter gave way to spring I turned my attention to outdoor work. This spring I planted about 500 trees and shrubs: red and grey dogwoods, willow, red oak, white pine, and sugar maple. I’ll never see most of these trees mature but I know the farm will get more beautiful over time, even when I am no longer there. Foodplots this spring included two corn plots, a clover patch, and two soybean plots. Hopefully the payback will be next November during deer season. A week’s drive to New York City to move Heather home so she could start a new job in Minneapolis was a fun road trip. 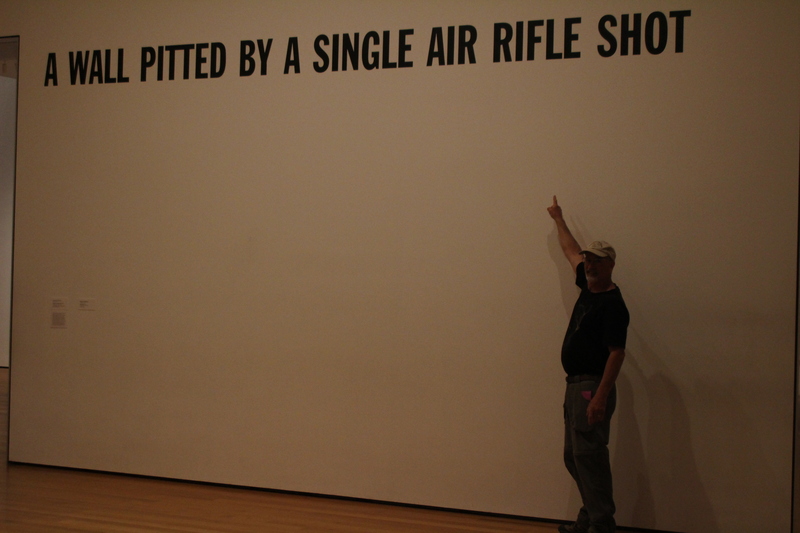 We took a few days to check out museums and art galleries in NYC as well as the Gettysburg battlefield on the way home. 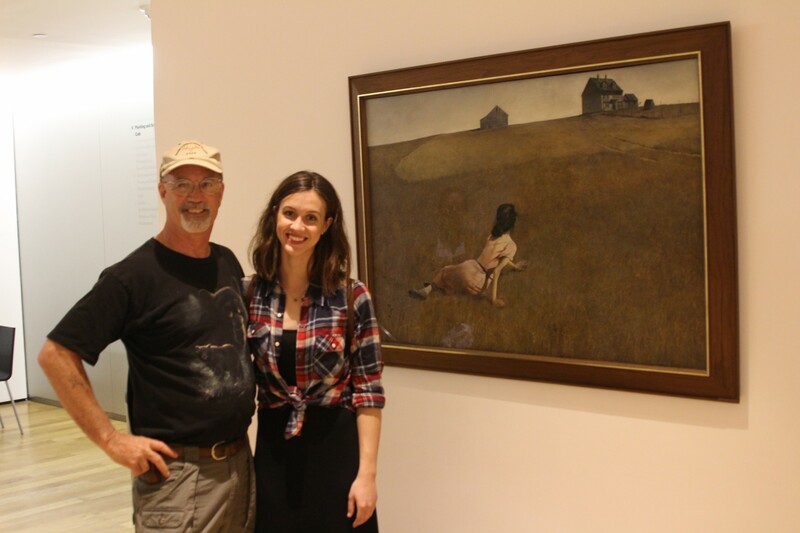 Mike and Heather with Andrew Wyeth’s painting “Cristina’s World.” A long-time favorite artist and painting of mine, and a strong influence on my early work. 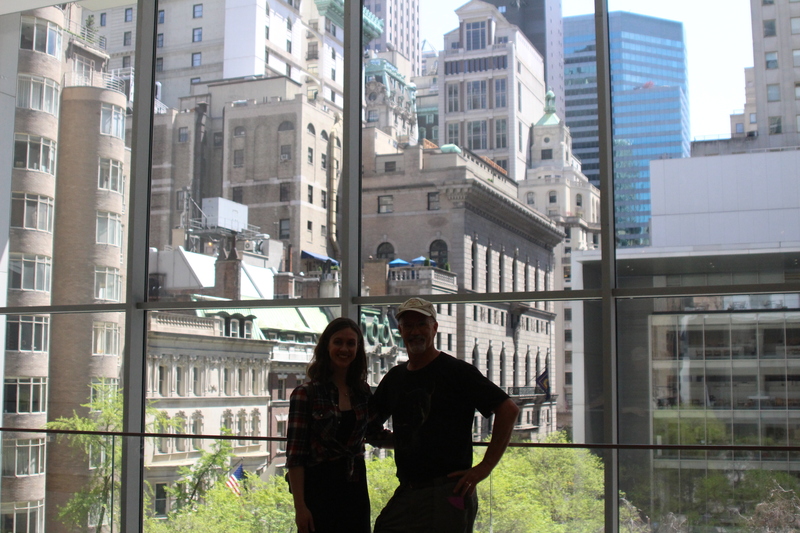 Mike and Heather at the Metropolitan Museum of Modern Art (MOMA). 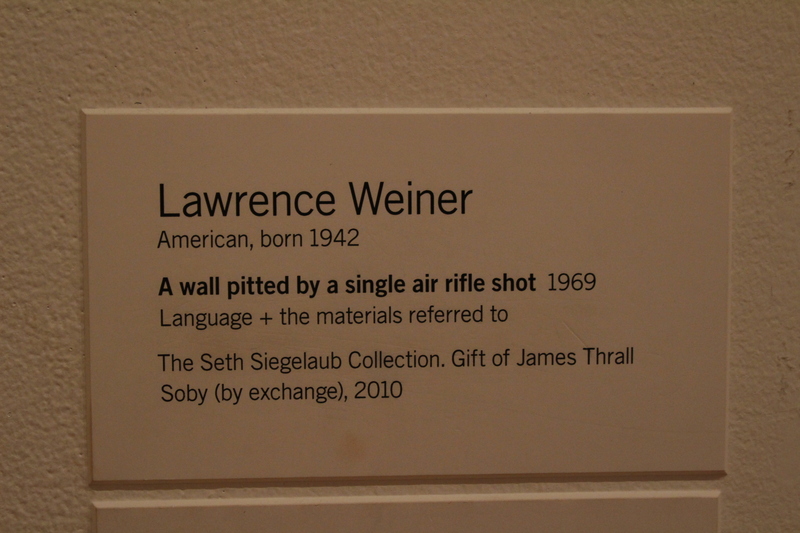 Title of a very impressive painting at MOMA. An impressive painting at MOMA. There are two ways your art collection can look like this. 1) Listen to the New York art critics. 2) Give a 4-year-old a BB gun and then don’t supervise him. And finally this spring there was turkey hunting. 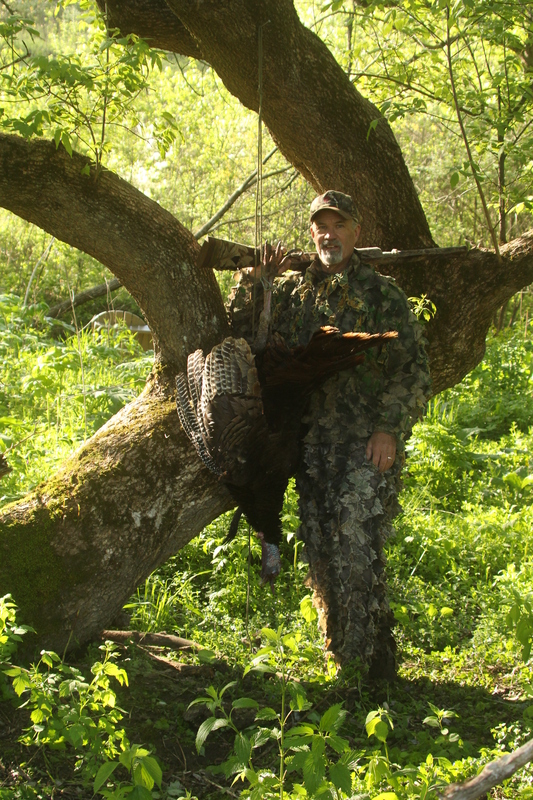 So far this spring the guys who stayed in the cabin and/or hunted my land went 6 for 10 on turkeys. I got a great old long-spurred tom on the far point of Norton’s ridge above the cabin. Hannah and I called and stalked two toms for three days there and almost closed the deal on them several times without success, but if you hunt hard and smart eventually your luck will turn, as it did. I got the old tom at sunrise on a perfect spring day with clear skies and no wind when he and his buddy came gobbling over to meet a hot hen and were introduced to a load of hot #6 shot instead. Two or three more hunters are due in yet this spring and then summer begins. Stay tuned . . .